In the world of real people and complex personal and legal issues, John helps you solve your problems in Elder, Wills, Estates, Trusts, Special Needs, Business, & Tax Law. Its really not about the law, the taxman or my education, it is about you and how to resolve your issues in the best way possible. John is a lawyer who brings significant other skills to the table. He is also a superior accountant, knowledgeable tax adviser, insurance person, and an experienced businessman. He doesn’t talk in legalese or theoretical solutions; he uses plain language and proposes practical solutions. While he addresses the law, John knows that solutions have to take into account people and family. He knows that empathy and compassion are needed in these difficult situations. Honest, direct and practical, he is focused on you and your problems. He values openness, kindness, and compassion blended with the strength to resolve problems in your favor. In his previous life, John had a variety of roles in both big and small companies. He held roles as General Counsel, Chief Financial Officer and Vice president of Tax. He has been the CFO of a public company, a Private Equity Portfolio Company and the division of a large international company. Some companies were the largest in the world, some had only 40 people, and he had a brief stint in government. They include AIG, ING, Aetna, Hanover Insurance, NYS Insurance Department Liquidation Bureau, Longevity Alliance and Grandparents.com. 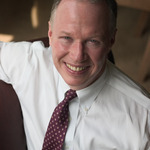 John lives in Ridgefield, Connecticut and has spent his life in the NY metropolitan area. He has two teen age sons so he understands the issues families face. He comes from a large family so has some personal schooling in family dynamics. He lost his Dad recently and his Mom moved out of the family house to someplace more manageable. So he has recently personally had the experiences of aging parents and transition. John practices Elder, Wills, Estates, Trusts, Special Needs, Business, & Tax Law primarily in Fairfield County Connecticut and Westchester County New York. John has a BS in Accounting from Arizona State University, a JD from Pace Law School, and a LLM (Masters in Law in Taxation) from NYU. He is licensed to practice law in NY, CT, and DC. He also has a Green Belt in Lean Six Sigma and formerly held Life and PC insurance licenses. While he has a fair amount of education, John is a lifelong learner always curious about something new. John is an avid outdoorsman who has passions for mountain biking, skiing, kayaking and skydiving. So in his spare time he can be found in the woods, on the water, in the mountains, or in the sky (use his cell phone).